I asked this guy on Steam how much of an improvement if any would upgrading from 8 to 16 GB's of RAM cause, so he uploaded a video of Hitman 6 running with 8 gigs vs 16 gigs. And holy dog biscuits does it make a big difference, so much so that even he was surprised. Hitman 6 is a good game to use since its so CPU intensive where some levels will literally have hundreds of NPC's on screen at once with varied behavior. Now I know I absolutely have to get me an extra stick. Since this is more of an "ask it" type of forum, I'm wondering why exactly does it affect performance this much?? I thought most games recommending 16 gigs is just because of all the stuff that may already be running in the background, and not necessary because it might give your PC an actual boost in performance, especially a boost this big as shown in the video linked below. The reason for the Performance Boost has nothing to do with the extra 8GB of Memory Available. I mean … alright depending on the Game Settings, it is of course possible to hit the limitation of the available Physical Memory resulting in the excess Memory being offloaded to either ReadyBoost (SSD) or Virtual Memory (HDD)., which can have a dramatic impact on performance if / when greater than Physical Memory is available. Still given Windows 7 and beyond has Adaptive Application Caching (with Windows 10 making heavy usage of Hibernation Caching) then it means Windows itself will typically scale from a Minimum of 512MB to 25% Total Memory after Runtime Prioritisation. So say for example you have 4GB., this would mean 512MB - 1GB... 8GB., this would mean 512MB - 2GB., 16GB this would mean 512MB - 4GB... etc. Of course it can use the full amount available when you have no Priority Application (i.e. not Gaming) but you will always have a minimum of 75% Total Memory Available for such an Application. This coupled with the fact that 4GB is the "Minimum" Shipped Memory since 2012., basically means that for most Games this actually isn't an issue. Even the most Demanding Games require only 7GB Total System Memory... I've yet to see one that uses more. Same is true in regards to Video Memory., the Maximum you can expect to be required (for Gaming) is 6GB, and keep in mind that this is assuming 4K, HDR, 60Hz, High Resolution (4K Asset Textures) and No Compression. Fallout 4 is a good example of a Game that the "Ultra" Texture Mode would take about 6GB Memory., but here's the thing... someone released an updated version of the game post launch converting all of the Texture Assets to BC7 Compression. Total VRAM Usage plummeted to 3.5GB but more over performance on both AMD and NVIDIA rose between 12-30% (impact was greater on Slower Graphics Cards)… why? Because GPUs today are Hardware Optimised FOR Compression., meaning that Raw Textures *even* if you're using Zero actual Compression Ratio; will run slower as the Hardware must convert to a Compressed Data Stream before it can be Dispatched for Workloads. That even Established Industry Veteran Development Studios seem entirely oblivious of this, should be quite telling of how long PC Developers have been so detached from the Hardware with little need to focus on Optimisation due to the extremely rapid pace of performance improvements year-on-year. I was far more scathing in how I spoke about the Laziness and Ignorance of PC Developers Vs. Console Developers 5-8 years ago., because we had API being teased / on-the-horizon that would return Low-Level (Close-to-Metal) Development which frankly PC Developers needed to get their arses into gear to get back to their roots and learn how Hardware worked rather than simply working closely with NVIDIA / AMD to have Drivers optimised and their Software Engineers explain some basic "Best Practises" that they'd often just use on that single project. Still consider how few Games actually support DirectX 12 / Vulkan today... and those that do, are basically just porting DirectX 11 Engines for "Equal" Performance; once again relying entirely on Driver Optimisation gains, or seeing things like Asynchronous Compute as a "Magic Bullet"; which sure it can be assuming that you actually understand both how it works and how the Hardware works. AMD have some great Whitepapers on this, but even still., these are guidelines not per scenario (every situation) optimisations. There are choices and trade-offs to make that really means the "Best" approach it entirely situation to what you want / need the engine to do. I know... it seems a little off-topic., but remember it's not just Developers who've lost their Technical Savvy. It's the Consumers / Enthusiasts as well. As I said above., the extra 8GB is quite literally unimportant to performance boost being seen. What is actually showcasing a substantial Performance Boost is the fact of comparing Single Channel to Dual Channel. How does this make a difference? This gets a little complicated to explain in terms of the Channels, Banks and Lanes. But a Simplified approach is to just assume that each Memory Module Supports up to 2 Lanes... these can be either Read or Write per Cycle, but regardless of how you handle them the overall performance is effective the same bandwidth. So let's say we have 1200MHz Memory. This would effectively be 2400MHz Per Memory Module (Stick). As such we can assume this is the Performance per Channel. This if we have 2 Channels (Modules) of Memory, we effectively double this to an Effective 4800MHz Memory. As far as I know, both Processors (AMD and Intel) Support "Interleave Memory Banks" … this means that you can still use Single Channel, but if you populate both Banks you will see a performance increase as well. Now keep in mind this is a GROSS Simplification of how the Memory works., but it's also why it's *ALWAYS* recommended that you have 2 Memory Modules instead of 1 Memory Module. As a Smaller Amount of Dual Channel Memory is BETTER than a Larger Amount of Single Channel Memory. It's also why Quad Channel and Octo Channel Memory is actually something that within the next few years will be on Mainstream Processors (such-as Ryzen 3rd Generation) not just for things like Threadripper, Epyc, Opteron, Xeon and Core Extreme. Although as a note Core Extreme isn't "True" Quad Channel., but rather is Interleaved Dual Channel... hence why it's performance improvement is situation, and not recommend unless you're Content Creating. So it can harm Gaming Performance. What's more to note is Memory Channels make a greater impact on things like APU, or Multi-Core Modules (i.e. Ryzen / Epyc / Threadripper) because they can optimise in such a way that each area of the Processor has "Dedicated" Memory Channels. As this reduces Memory Barriers and Latency., allowing them to reach much close in terms of efficiency to the Peak Performance; which generally you won't hit in normal situations. Hmmm, interesting, so to clarify, since I have two channels or slots for RAM as shown in this picture, does this mean I have dual channels? Is this what you mean by dual channels? On a separate note it doesn't look like the memory module closed to the CPU is snapped in correctly on the one end. You might want to check that before it comes loose. So would incorrectly installed ram cause a game to crash and do a hard reboot?? A few of my games have been crashing, happens randomly. Very hard to say, I just noticed the locking white tab was not locked and a module could come loose. A loose module could cause issues but exactly what when and where is hard to say. Likely it would be a system post issue or the memory module not showing as being installed. But memory errors like a bad stick can definitely cause all kinds of stability issues. 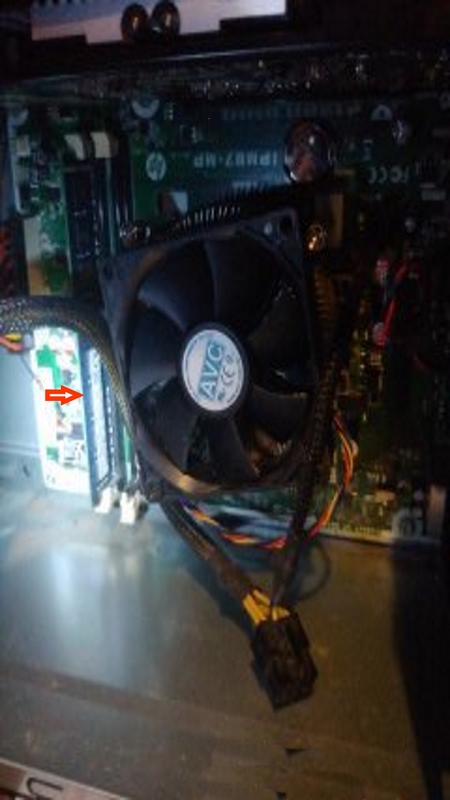 Ok, it made me really wonder, because that picture is actually the first time I ever opened the PC case myself, so I never put it in there like that. I actually recently took it out myself and snapped it back in place. I guess I'll take another picture so you can see if I actually did it right. No worries I just noticed it wasn't snapped in and thought you should know. Glad you got it fixed. Any luck yet on the actual issues? Well, the usual suspects haven't crashed again with the exception of Mass Effect Andromeda, but that game is a special head case because its such an unoptimized pile of garbage. The game ran fine on multiplayer all this time but now I can't even get through a scene in story mode without my PC doing a hard reboot. I was looking forward to replaying the story mode, but now I'm on the verge of just uninstalling this piece of garbage moving on in life. 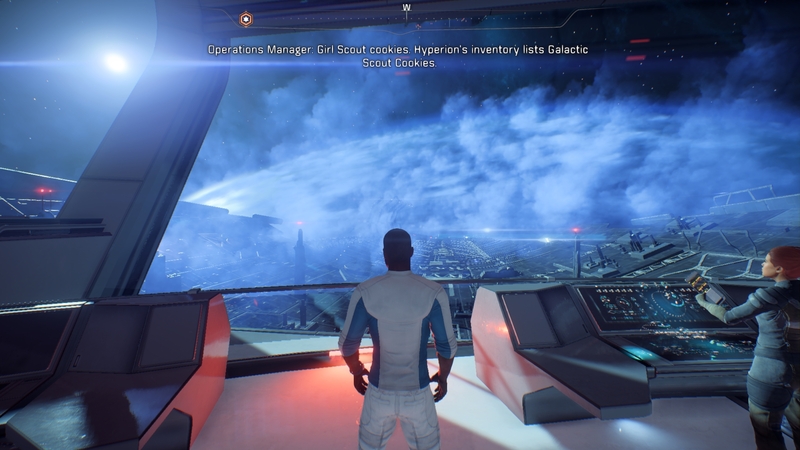 I have played through MEA while I thought it was substandard compared to the others, however I did make it through without issue. What video card do you have? 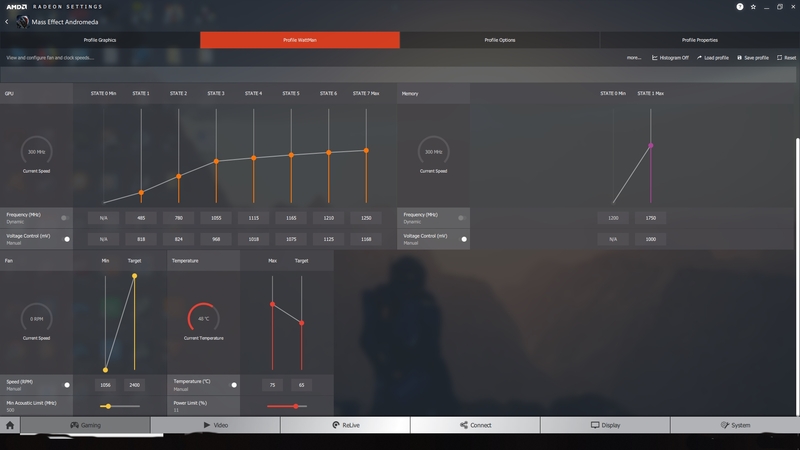 If it is AMD your might try setting your power limit slider in radeon settings all the way to the right to its maximum. Some other culprits that can cause headaches and no telling which one may or may not help. Disalbing overlays in Steam and Origin often add to game stability. In Windows especially Windows 10 make sure the system profile is set to High Performance not balanced. In Windows 10 go into settings, its the gear looking icon and choose gaming and disable all the Windows 10 gaming and DVR functions. They run whether you use them or not and like you don't use them and only cause more problems and waste system resources. Now from there if none of that helped it is likely an in game setting that will impact things. Sometimes I go and change each setting one at a time until I find the culprit screwing things up. Turning off things like ambient occlusion and anti-aliasing can help stability as well as performance. But don't discount things like texture settings being the issue either switch those settings one at a time between low, medium, high and ultra etc... I rarely find a game that does not work with a little trial and error. One that was a pain for me forever is Fallout 3 never would run without lockups on my Phenom II X6 I had for years. I just finally got to finish the game on my i7 I bought last fall. Unfortunately sometimes it is just a driver issue and you can try new drivers or in many cases older drivers that did work. Other times it is just waiting and hoping they fix the issue with the game itself. I know a lot of people have trouble with those Ubisoft games, I think that it is what the WiC game is? I know their DRM screws things up. I know a lot of people now buy games form GoG because they often have DRM free versions and the don't load the games down with overlays and such. Mostly though I think that many of the games from them have just been badly pc optimized console ports. I do however think they have done way better with this the last few years then they did in the past, same with Bethesda. Another tip I would give when having specific game issues, is if it is sold on steam go to their discussions forum for that game. There is almost always someone that posts how to make the game work. I wish EA had forums for their games like that easily linked to from their store. Good luck let me know if I can help more. I have an AMD RX 470 OC with an I7-4790K. I don't think the power limit is really the issue with this game. 250% is the max I can set it to. That worked for a while before it started crashing again in multiplayer, so I set it to 110% instead. I thought that solved the issue as it never crashed again on multiplayer. But my second play through on story mode has been an absolute nightmare. I'm already overclocking the memory speed for this game because it will move at a snails pace on some parts even when no heavy action occurs on screen, like when you are on the Tempest for instance. I had to crank up the memory speed another 100 MHZ just to enjoy the game, and I wasn't the only one reporting the low frame rates on E.A's forum either. Some of them had more powerful PC's than mine, so I know its just the games lack of optimization. I'm can try setting the power limit to its max again along with tweaking things like ambient occlusion and anti-aliasing, but I highly doubt that will solve the issue. Yeah, the power limit slider is exactly what I'm referring to. 250% (or '25' as it shows up on the slider) is the max it goes to if I slide it all the way to the right. The game still freaking crashed even though I turned anti-aliasing and ambient occlusion off to boot, so I'm out of options. I have the memory speed overclocked because I can't get a steady 60 FPS otherwise, but I didn't change the voltage for it. Should I crank up the voltage as well for the memory speed? If so, then by how much? 1650 mhz is the default stock setting, but I increased it to 1750 mhz. I'd love to give you good advice but in my experience over clocking and volting rarely improves the situation unless it is small amounts that get you over a FPS target you are barely short of. I will check that game out this weekend again with current drivers and see what it does for me and get back to you. Well I didn't overclock just to get a paltry increase in FPS, because the game moved as slow as molasses before I did to start with sometimes. The game is so un-optimized that I couldn't get a steady 60 FPS unless I overclocked it. If it weren't for its multiplayer this piece of garbage would be uninstalled already, because its STILL crashing. Obviously, there is nothing that can be done about it. A train wreck isn't meant to be solved, but discarded. I was told that if you overclock, you have to increase the voltage as well because not increasing the voltage can also cause a game to crash. I increased it by a tiny amount, but that doesn't seem to be working ether. I never thought a game in this bad a state would ever be allowed on the market by a professional, business savvy company like E.A, but I learned first hand why they are the most hated. They fashion themselves a triple AAA company, but its really more like a Triple AAAss company, along with the rest of them, Ubi Soft, Activation, the whole lot. And I know its mostly just the game itself because Star Wars Battlefront 2's beta version ran as smooth as butter on high settings. I can tell you back when I played this game through. I was on an older card HD 7950 and Phenom II. I was pretty much happy if I was above 30 fps. I only ever played the campaign not the multi-player. I don't remember it having any issues but, then I had a lot of games that struggled on that setup so it wouldn't have been too out of the ordinary to have some issues and it seem okay to me. I still have not fired it up again yet. I am curious now for myself just to see if it is bad fore me. Having played on a decent i7/rx580 setup since November my expectations myself are a bit higher. I played the campaign on Mass Effect Andromeda tonight for about 1.5 hours. I suffered no issues at all on my end. It plays silky smooth, with consistent frame rates. Hmm, so whats your PC specs? I just can't figure that damn game out. It ran pretty well on multiplayer, but now I can't even get past the first few scenes on the Nexus without crashing in story mode. The only thing I can think of as the reason is not enough voltage for my overclocked memory speed. I a bit higher. RX 580 8gb - 1440p, i7-7700k - 4.5 ghz, 32 gb ram. However I first played through that game last year just fine on a Phenom II x6 1090t, HD 7950 and 8gb ram but a 1080p. . If Mass Effect Andromeda is using > 4GB (your VRAM) then you will be experiencing substantial performance drops. Now why it's using so much., that I couldn't tell you. However why Multiplayer runs better is simple... it's just fewer resources it needs to load as the Map is much smaller. Switching the Texture or Shadow Resolution/Quality (Shadows are usually best) to something like Medium, will almost certainly resolve the issues in performance. agreed I had mentioned lowering the texture resolution as well earlier. Its actually not Mass Effect Andromeda thats somehow using over 4 gb of vram, its NBA 2K18, and its weird because I'm not even overclocking 2K18. I was getting 4.4-4.8 gb of vram used on average in 2K18 while Mass Effect never went beyond 3.8 for the most part. It can't be the vram utilization that's the problem, otherwise it would be crashing in 2K18 as well. I'll try and lower the shadow quality and see if that helps, but I didn't spend my hard earned money on this GPU just to play the latest games at a setting lower than high. I was told that an RX 470 is more than enough to play Mass Effect on high settings. It certainly seemed good enough for Star Wars Battlefront 2's beta without overclocking, so this is just more telling of the game itself being the problem. I don't disagree with that it should be able to do it. Have you verified your game cache for that game in Origin. Try that and if it does not help, you might want to even uninstall it and re-install. I realize this is a pain but it could prove worth it. Ok, I finally got passed that one part where it always crashed. It was the part where you first get on the Nexus command center and they open up the screen doors shown below. I'll have to keep playing to know for sure if what I did solved the issue. What I did was changed Mass Effects priority from "normal" to "real time" in the "details" section of the task manager. It probably wasn't getting enough ram, because I noticed its been using up 6 GB as vram ever since. Cleaning the cache and uninstalling didn't work at all. I often find giving my games administrative privileges helps too. Also disabling full screen optimizations can also help stability. It looks like I already have it set with administrative privileges. I'll disable full screen optimization as well, thanks. 5. open the game again, and you should see it saved on the actual task manager for windows. It might just be as simple as opening the program and the game and then setting the priority, but I've been going nuts trying to find a program that works for the last three hours. This is the only program that works as far as I've seen. I use their park control free software! Not tried I'm guessing you used the process lasso? Yeah, process lasso is what I used to save the priorities. Should I use their 'park control' software? Some are claiming that disabling CPU parking results in higher frame rates. Okay my opinion on Park Control, the actual core parking feature is fine and works as it should is essentially is the same as the park control built into Windows 10. Now it does other things than control the parking and that is the power states. In Windows 10 the crippled the so called High Performance profile and it still has some power saving features enabled, compared to the older versions of Windows and yes this can impact performance. There is no need for this IMHO on a desktop PC yet Windows is now treating all computers like tablets. There was a big outcry against this and in some corporate versions of 1803 Windows they returned the old High Performance as a new feature under a new name but it is still not available to most users. Park Control's default settings return all of the settings to as they were in previous Windows when High Performance was selected. It uses low resources and has been rock solid for me only helping not hurting a thing. I highly recommend it to everyone and is part of an OS install I do for anyone. Unless saving a dollar over a years time is worth crippling your performance? Oh, and I didn't even bother trying World in Conflict again, because I get the feeling that game is gonna crash no matter what. Each of those DIMM Slots are for each Memory Channel, so to use Dual Channel you will need to Populate Both. Would I see a performance increase while recording video game footage or streaming with more ram on separate channels? I tried recording NBA 2K18 footage and experienced a fairly significant drop in the frames by about ten or more. It went from a steady 60 FPS to around 45 FPS on average while recording. I'm using OBS Studio, in case it matters what software I'm using at all. I have no experience with recording in game myself. I have read plenty about it here and know a lot about computers in general. Speed has nothing to do with a memory. Either you have enough or you don't. The only time lack of ram affects things is when you run out you page out to the hard disk slowing things down. Unless you have less that 8gb or ram I doubt this is a serious issue and any speed issue is likely CPU related not RAM. In the past couple of years there have now been a few games that at high enough resolution and texture settings will use more that 8gb of ram. Most games however still really don't need it and those that will go over will easily fall beneath that by knocking the texture setting down a peg. Where you will likely feel the need for more ram these days are in apps like the adobe creative suite or if you like to leave many apps open at once or have tons of tabs open in a browser things like that. You can easily monitor your memory usage. You can turn on logging in Windows to see how much of an issue it really is or is not for you. Google is your friend here. Myself I am bit overkill on the ram I went with 32 in my build. I however do graphics work a lot at home. The Adobe Creative Cloud and I do actually benefit from that much. At times with video editing I could use even more, but it is a minor hobby for me at home so I invested about as much in ram as I could justify with 32. For gaming I don't think anyone really needs more than 16gb. I know of no situation even at the highest resolutions that would use more than that at this time or really the foreseeable future. I set OBS Studios as a real time priority in the task manager and recorded NBA 2K18 again. While recording, the CPU unitlization was 80% max, and my ram untilization was less than 5 gb. It still struggled to stay at 60 FPS in game, but the footage looked more or less smooth regardless, although not quite as smooth as I'd like it to be. I don't know what I could do to get a smoother recording at 60 FPS. The CPU use is no higher than 50% when not recording, so that's a pretty significant difference. However, its the vram utilization that I find interesting. My GPU only has 4 gb of ram yet the software said it was using 4.8 gb of ram. Is it supposed to be that high if I only have 4 gigs of video ram? Is it overclocking itself or something? And the ram reads at 4.8 rather I'm recording or not by the way, at least with 2K18, not sure about other games. Since I really don't have any experience with in game recording with relive I just don't know. Hopefully someone can answer that for you. Well I wasn't using relive, I was using OBS Studios. Relive is trash as far as I'm concerned, and I'm not sure I'll ever go back to it. I was however using the Radeon Overlay feature for performance monitoring, and I was somehow using 4.8 gbs of vram when I'm supposed to only have 4 gigs. Then you were paging the additional to the page file on the drive. First of all Radeon ReLive is definitely not trash in my experience. The introduction of ReLive from AMD did two things for me. 1. It removed the need to use external Avermedia Live Gamer Extreme 1080p 60FPS Capture Card + External Laptop + Avermedia RecCentral3 software for recording. 2. It forced Nvidia to significantly improve the GeForce Capture software up to a comparable level to AMD ReLive today. This means I no longer need to use an external capture card + laptop to record output from Nvidia card. The Avermedia RecCentral 3 software was unable to record 1080p 60FPS on laptop with i7920XM 4 core 8 thread processor. Trying that resulted in 95% CPU use and recording dropouts. I did improve recording results by using the Avermedia Live Gamer Extreme capture card switching from RecCentral 3 to OBS. The explanation of what you can do in OBS to allow faster / better recording is well covered on OBS forums. However ReLive or GeForce Experience software and using the GPU give much better results and are easier to use for me at 1080p 60FPS recording with the PC/GPU and Laptop I have. Perhaps if my laptop had more modern Nvidia ar AMD Discrete GPU, the results with the Avermedia RecCentral 3 software might have been better since the laptop GPU could have performed some of the video recording workload rather than the CPU. If you have a good GPU then recording using the GPU hardware should be much more efficient than using external capture card. You might need to change some of the recording settings for ReLive to see if that will help. What about ram? Does it matter at all? Lately, it doesn't matter what software I'm using to record. The frame rate drops significantly no matter what and sometimes stutters. My Laptop I used for recording has 16GB DDR3 Ram and my PC's all have 32GB all PCIe slots occupied so ... not a problem for me. Again I suggest you go to the OBS forum and ask for help there about what settings and video formats you can use to reduce CPU use during recording.